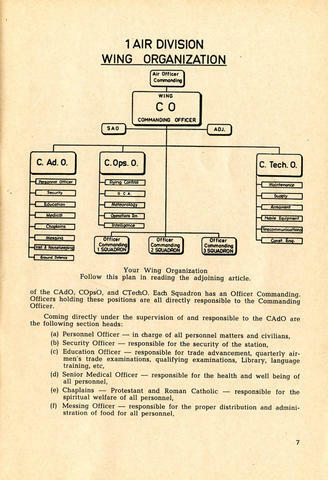 Document: 4 [F] Wing RCAF Baden-Soellingen Germany information booklet. For RCAF personnel serving overseas. Dated June 1954. Photograph of Baden-Soellingen station. Page 7. Original document.